Hi all! 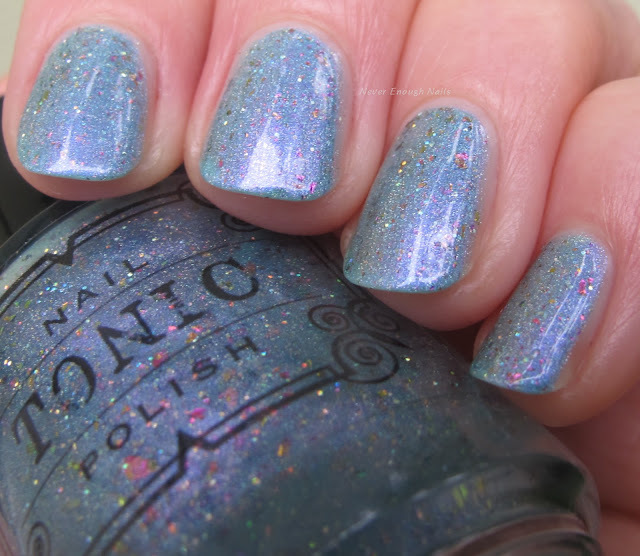 Today I have a polish from an exciting new indie brand called Tonic Polish. 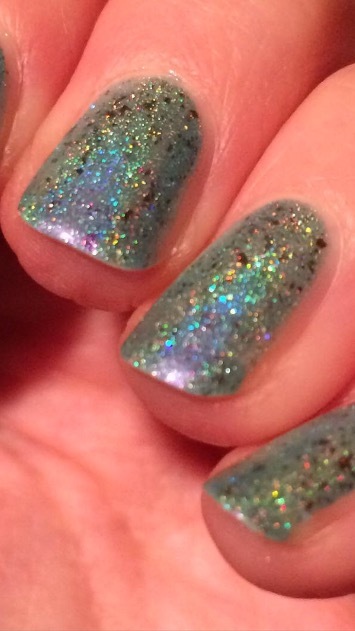 Lindsey, the maker of Tonic Polish, recently just had her first launch and it was extremely successful. I ordered three polishes on June 26, they were shipped on June 30, and I received them on July 2. I am pleased with that time frame. Everything was packaged very safely in bubble wrap. 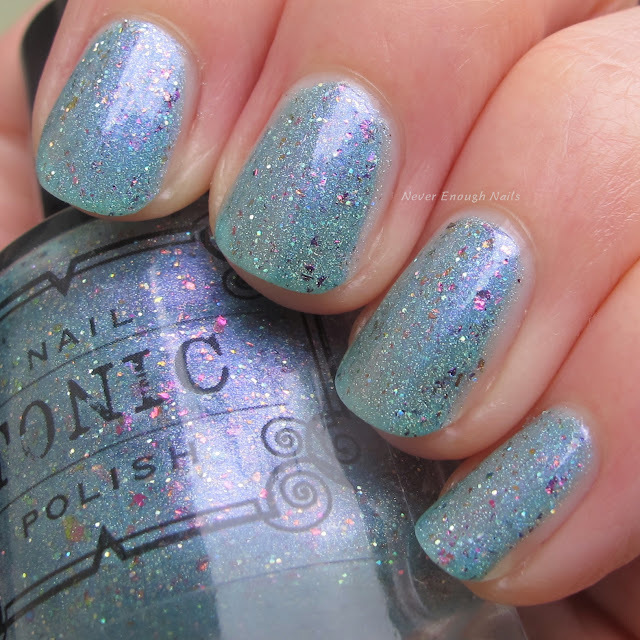 The first polish I tried from the batch is Tonic Polish Rainbowfish. Rainbowfish is described as "tropical turquoise jelly base with linear holographic pigment, silver holographic micro glitters, pink/gold/green shifting multi chrome flakes, and a whisper of purple highlight". I would call it a turquoise jelly with linear holo, scattered holo micro glitters, flakies that shift between purple and gold/green, with some pinkish purple shimmer. The Tonic description also says this has good coverage in 2 coats, but more are needed for full opacity. I'm glad it says that because that is the truth! This is three coats and I am happy with the opacity here, but two still had some VNL. The formula was fantastic though! Buttery smooth to apply and easy to control. I used top coat, but it wasn't too bumpy and gritty even before top coat. I will say that the swatches on the listing for this polish appear a lot darker and more of a saturated turquoise than mine looks on me. I am still wearing it right now and would call it more of a watery turquoise than a vibrant one. I took a cell phone picture in terrible indoor lighting yesterday while wearing this, but I wanted to include it because it shows off the linear holo flame! I am pretty much obsessed with this polish and highly recommend purchasing it! I will have the other two I ordered for you to see soon and I am already planning on ordering more Tonic Polish. Rainbowfish isn't currently available on it's own, but Lindsey has said it will be returning, so no worries! Tonic Polish is available on Etsy.